1. 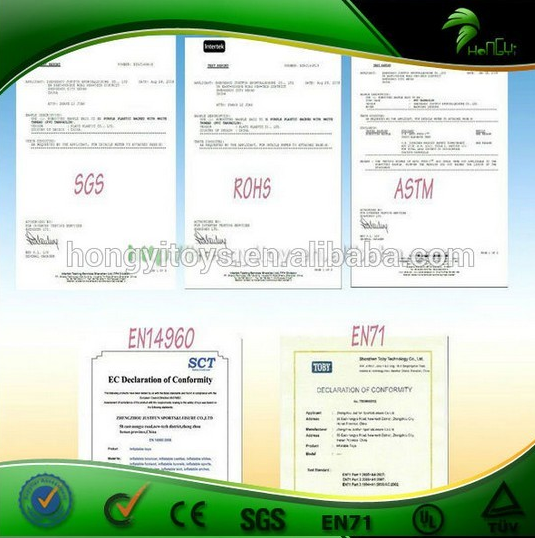 We have CE ,EN14960 ,EN71-2-3 ,SGS,TUV ,M2 fire resistant certificates for market .Our inflatable products conformingto BS 7837 , EN-71 , NFPA 701 , UNI EN 14960:2013 and Australian standard AS 3533.4.1 - 2005.Materials green environmental protection, safety, the humanbody without harm. 3.Material Material is soft, no pungent taste, comfortable to use. Trial groups: 3-80 years old are appropriate.Selecting different materials according to the actual situation of the product, different thicknesses. You can also tell us we will provide selected according to the actual situation introduce suitable material. 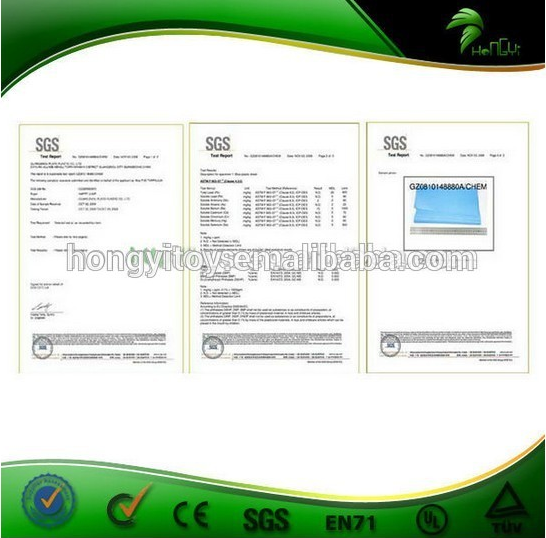 GZ Hong Yi Toys Manufacturing Co.,Ltd. 1.We are dedicated to the import & export trade enterprises. 2.We has our own factory,can supply the high quality products in time. 3.A professional R&D and production team,we accept variety of cstomized to map. 4.We has perfect sales service concept,24h online service for you. 5.Our company's purpose is Honest & Profession & Harmony & All-Win. 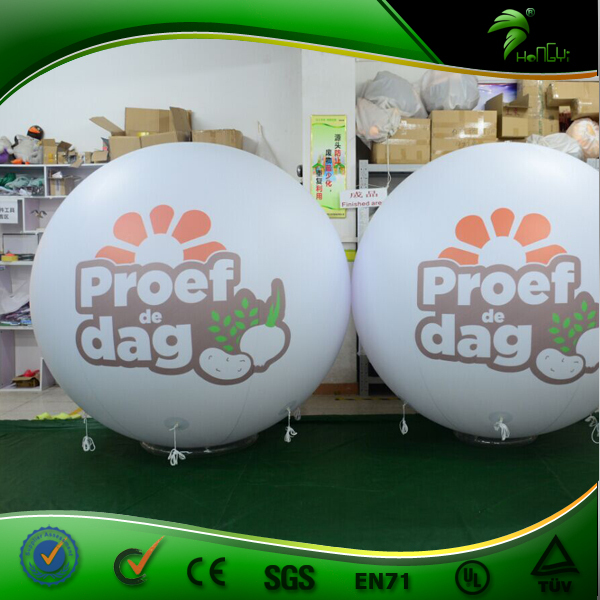 1-Strong pvc bag for the product and carton for the air blower which helps protect the cargo during the transportation process. 2- It depends on the order quantity and usually needs 3-7 days for small order. 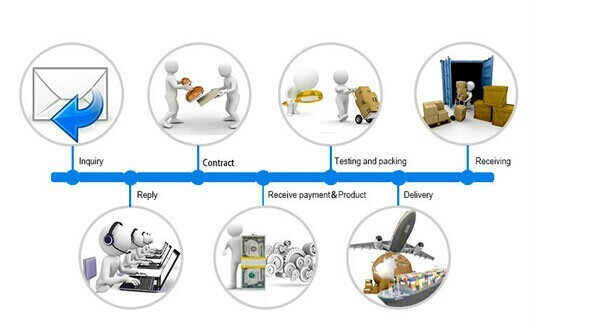 3- It takes about 15-45 days to arrive the seaport by sea. Q: What are these Balloons made of? 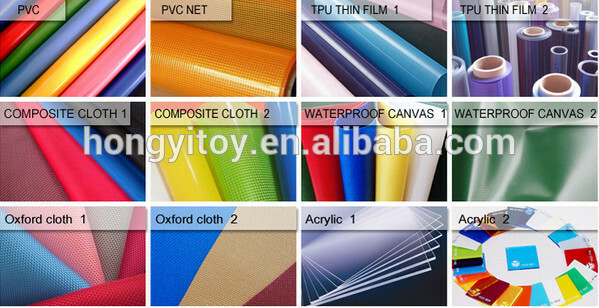 A: Durable PVC tarpaulin or PVC vinyl material, weather-resistant, waterproof, fire-retardant, UV protective, 0.18mm to 1.0mm thickness available, according to your usage. 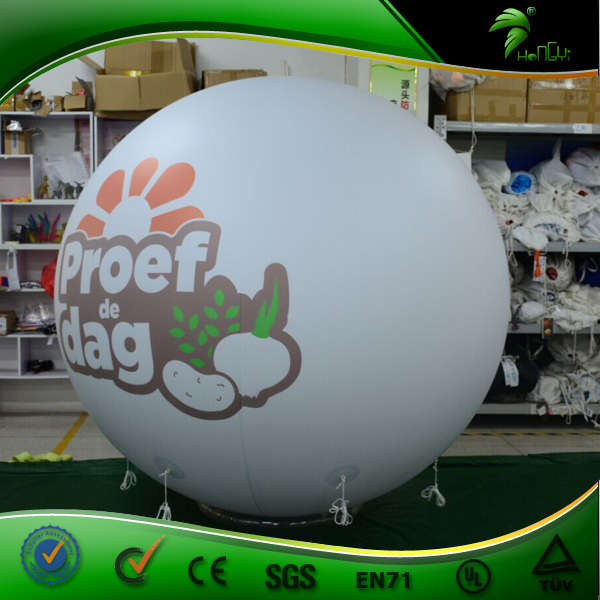 Q: How to inflate a Giant Balloon? A: Can inflate by an electric blower/pump included. 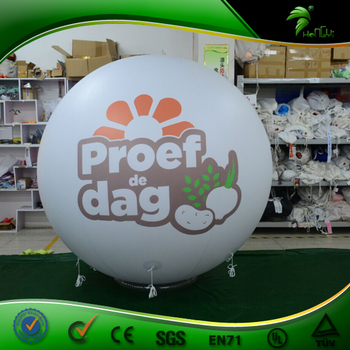 It usually takes 3 to 10 minutes to inflate depending on design. Also can inflate with helium gas. Q: Can we use Giant Balloons in winds? A: Yes, we make D rings or hooks on each balloon and match ropes for you to tie for more stability. You can also use sandbags or water bags to increase stability. However, please use depending on the actual scene. Q: Can we use Giant Balloons in rain? A: Yes but since the blower is connected with electricity (unless upgrade to Airtight style), we don't suggest long time use under heavy rain although the balloon material and blower plastic case is waterproof. A: Yes. Maybe for free or charged depending on quantity, printing color and size. You may send us high-resolution artwork in AI, PDF or PSD. Q: What happens if the Balloon punctures? 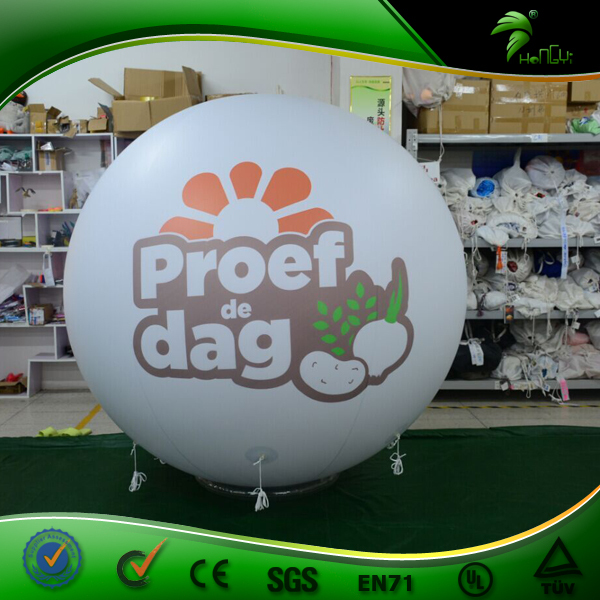 A: Due to constant blown air, the balloon can still be blown up and use as long as the damage area is not big. The damage can be repaired by sewing machine, and PVC vinyl balloons can also simply be repaired by our repair kit (material patches and glue). A: Yes. After you place an order, we can use your custom requirements to make a design sketch and will start production after your confirmation. 1- Tell us the Items model and quantity you order. we make a PI for you. Then You pay the down payment 45% of the total amount to our company account. 2- After we receive the down payment, we will produce the goods for you. 3- Once we finish the products, we will send you the photos to check and confirm. 4- If everything is ok, you pay the balance amount. 5- After we receive the balance amount, we will arrange to ship for you. please feel free to contact me, thanks!